Teeth whitening is a massive subject and is popular with most people. It’s a thriving billion dollar industry which continues to grow each year. Do you know what else happens? More products come onto the market claiming to be the best whitening solution for our yellow teeth. But sometimes it can be hard to distinguish between the good and bad which is where we come in. We equip you with all the necessary information you will need to determine whether a whitening kit is good or bad. 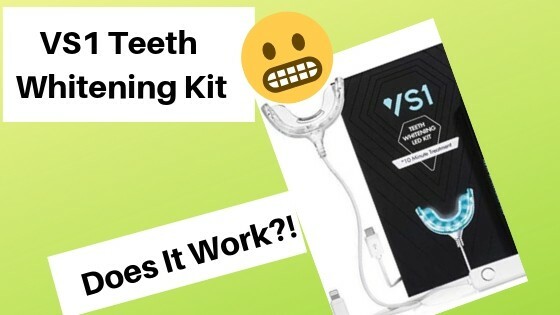 Today is no different, we are going to give you an in depth VS1 Teeth Whitening Review so you can be 100% sure what this product is, what it does and if it’s any good or just a piece of junk!. What Is The VS1 Teeth Whitening Kit? Like many other whitening systems on the market, Vs1 is also a LED light based whitening system. You basically have whitening serum pens that you apply to the teeth and then insert a mouth guard and turn the blue light on and wait for 10-15 minutes. It differs slightly from other LED systems because unlike batteries to power the mouth guard, you actually have to plug the guard into your smartphone device. This for us is actually a good idea because whilst you are waiting for the whitening system to work, you can browse your phone which will stop you from getting bored. That’s basically it and it actually seems pretty easy and simple to use. It claims to remove decades of wine, coffee, tea stains in 10 minutes which is not entirely true. From experience, we know that these sorts of whitening kits need at least 7 days of daily use for them to be effective at all. They should really be saying: get white teeth after a Minimum 70 Minutes Use. The company is based in the Unites States and pride themselves on the animal free testing and kosher ingredients they use in the whitening serum. Another feature of this kit is that it can be used on braces and veneers. This whitening kit is suitable for people of all ages including kids. This is made possible because the ingredients in the kit are not dangerous and won’t hurt the enamel or cause major sensitivity. It can also be used on a tooth which has been filled. 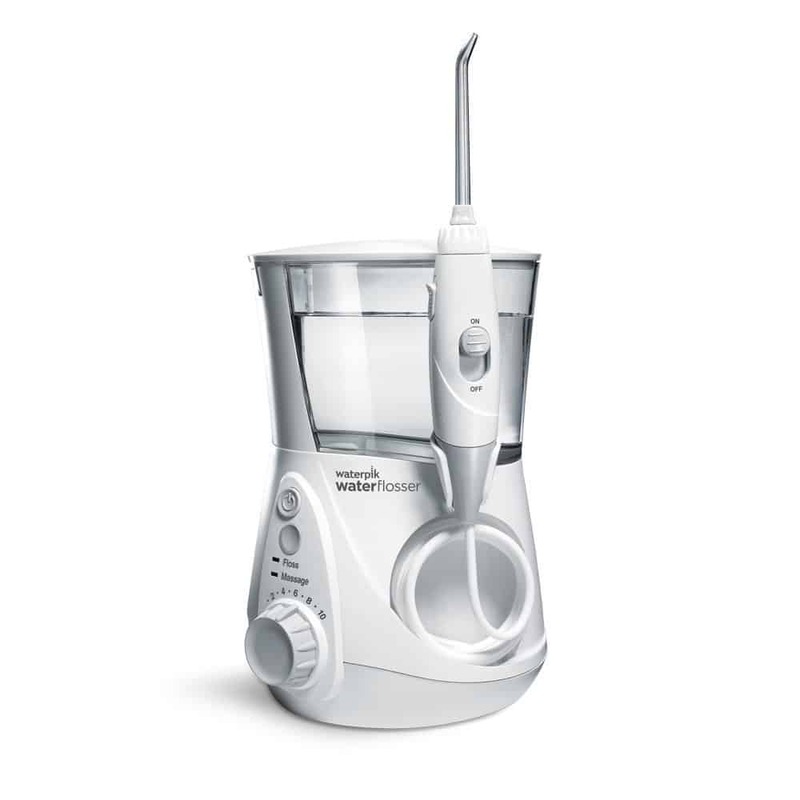 we would highly recommend you get advice from your local dentist to see if you will be alright using this kit. Sometimes when there is a problem with your oral health, carrying out whitening treatments might make the problem worse. These are important because all the magic is contained within them. The active whitening ingredient carbamide peroxide is what’s going to help remove the yellow stains off of your teeth. The serums’s are made in the USA and are gluten-free, kosher and safe for the enamel. The soft brush tip evenly coats the surfaces of the teeth and allows you to get the whitening serum in hard to reach places. This patented advanced light system is what helps to get you the fast results. 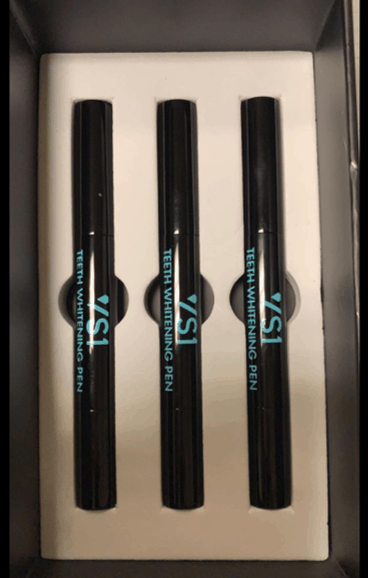 If you were to use whitening pens alone, you would not see a difference in a few days, rather it would be close to 2-3 weeks before you saw any changes. The light is what helps the gel to penetrate the outer layers of teeth. But the main reason we like this LED kit is because you don’t have to boil the mouth guard to fit to your teeth. It’s a one size fits all setup which means all you have to do is plug it into your phone and enjoy stress free whitening. 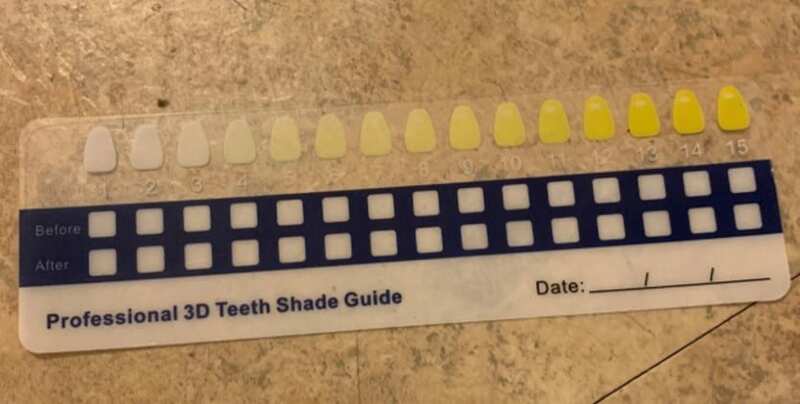 This is a cool feature because it shows you the different shades of teeth colour and basically you make a note of your current stains and after carrying out the treatment you can compare the results to see if there were any changes. Don’t be too worried if you see little to no results after the first go as it takes time to see real changes. 7 days is a good benchmark for you to evaluate the product. The manual comes with easy to understand instructions and pictures to show you how to fully utilise this whitening kit for best results. It only takes a couple of minutes to set up and then 15 minutes for the actual whitening process. There is no excuse about being short of time Now!. Let’s make one thing clear, although the ingredients have not been tested on animals and are kosher friendly, they are not natural. They are synthetically made which is no surprise. Teeth whitening involves reactions between molecules in the teeth for it to be successful. All of these chemicals may seem scary at first glance but don’t worry. They have been used therapeutically by professionals for year’s and have many uses. They all play a vital role in helping to give you that whiter smile. It’s not like your going to be using the kit forever so any negative side effects will go away as soon as you stop using the kit. If you were to ask us what the single most important ingredient on the list was, we would confidently say: Carbamide Peroxide. A study carried out by the American dental association showed that although carbamide peroxide produced slightly more emphatic results initially, ultimately products containing equivalent amounts of carbamide peroxide and hydrogen peroxide produced exactly the same results. When choosing a teeth whitening product, always make sure the active ingredient is either Carbamide Peroxide or Hydrogen Peroxide. How To Use The VS1 Whitening Kit At Home? Home teeth whitening kits have become so simple to use nowadays it’s crazy!. Long gone are the days when you could only get dental whitening at the office. It was also very expensive and still is with prices ranging from $500 to upwards of $2000 depending on the type of treatment you go for. Brush and floss your teeth to clean the mouth and remove any small particles stuck in between the teeth. Apply the serum by twisting up the wand and applying the gel to each tooth – think of it as painting your nails. Plug the LED light into your smartphone and insert the guard into your mouth for 10-16 minutes. One of the main drawbacks or complaints we hear from people regarding teeth whitening is the Sensitivity Issues they face after using it. This however goes away after a short while. Several authors specified that sensitivity when is present, during or after bleaching is a totally controlled adverse side effect that can be managed easily with peroxides that includes fluor on its composition, or applying potassium nitrate; this situation can also be prevented. This kit does most things right and the ratings agree. On amazon, it has a 5 star rating which makes it reputable and although there are only 66 reviews in total, you need to keep in mind that this is a relatively new company which is growing fast! We know a couple of competitors who use the same technology as the VS1 system and are priced at close to $200. This kit only costs $50 which is a steal. Don’t tell us you can’t afford to invest this tiny amount to better your smile! It’s an easy kit to use, even a kid could do it. the instructions are self-explanatory and best of all it only takes 15 minutes per day. Don’t worry, If you are not 100% satisfied with your purchase, you can return the product and get a full refund or exchange the product for a different one. You can return a product up to 30 days from the date you purchased it. You can do it through email or ringing them up, whichever is easier for you. 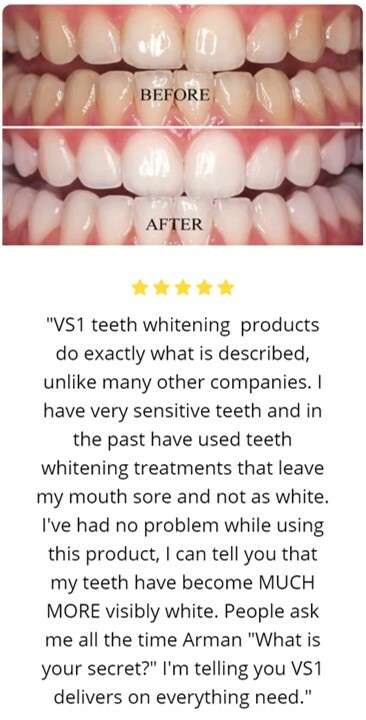 What Do Customers Think About The VS1 Whitening Kit? We have already touched upon the fact that people who have brought this kit have given it a 5 Start rating (maximum you can give). The consensus was the product worked really fast with most saying they saw changes after a couple of tries. Now of course there is always going to be people who don’t see results with a product for one reason or another and that is the case with the Vs1 Kit. 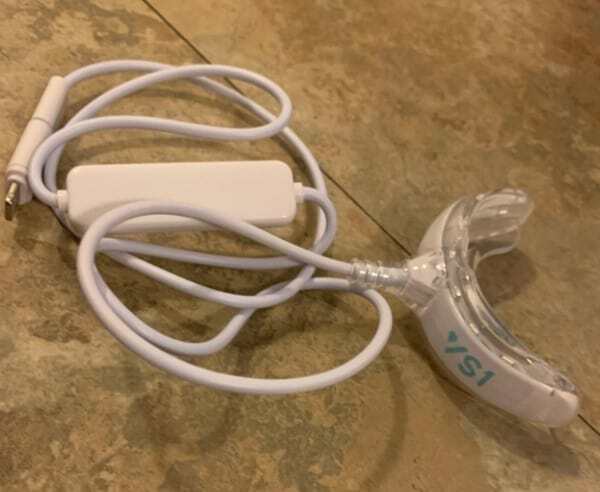 Where To Buy The VS1 Teeth Whitening Kit? The company currently have a New year’s sale and the price of the kit is $49.95 over at Amazon. They do have their own website but the price is higher there ($79.99). This is the reason we recommend you buy from amazon because you will save $30. And let’s be honest, amazon is the major online retailer and they have a few security measures in place making sure the customer is protected when they order a product. The 30-day money back guarantee makes it a no brainer! If your ready to get a whiter smile please head on over to Amazon and buy your kit at a reduced price of just $49.95. Q. Does VS1 whitening cause sensitivity? A. VS1 does not cause the sensitivity of other systems thanks to its unique, proprietary serum. Q. Can I whiten my teeth even if I have some fillings? Q. Can my kids use your products? A. Yes, the products are kid friendly for kids of all ages. The age of when they start is your choice! Q. Does the serum or powder expire? A. Once open, it should be used within 6 months. We recommend to keep the product dry, cool and out of the sun. There is no need to store the serum in the fridge. Teeth whitening is a major part of our oral health with so many people looking to whiten their teeth. It’s made possible by the advances in technology and easy to use kits. Hopefully this VS1 teeth whitening Kit Review has given you all the information you need to make a decision if it’s the right fit for you. It’s basically a LED whitening kit and all you need to do to get a white smile is apply the gel serum onto your teeth and insert the mouth guards into your mouth and leave it for 15 minutes. That’s it! Do this for 7 days straight and you will see some dramatic changes But if for some reason you don’t get the results you were after, there is a 30-day Money back guarantee to give you that extra piece of mind. Factor in the cost of $49.95 and you would be very stupid not to give it a try. This sounds like a product that I need to get my hands on. I’ve actually been looking for a teeth whitening kit that is easy to use and actually works. I really like the fact that you can power it through your smart phone, as that would definitely make the time pass quickly. 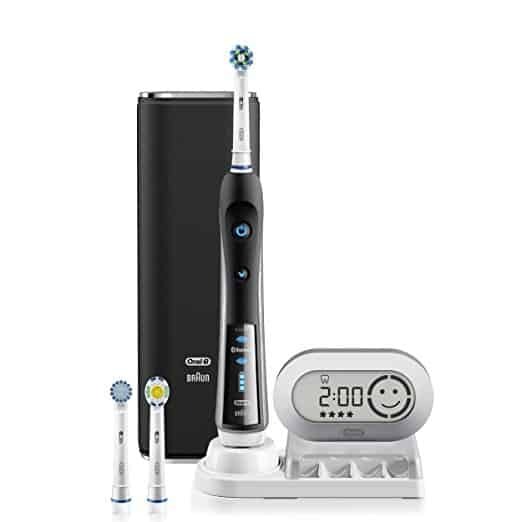 The price is fantastic, especially for a teeth whitening kit with this kind of technology. I’ve used the old school Colgate brand whitening strips (that NEVER stay in place, by the way) and paid very close to the same amount… plus they didn’t really work. Whitening strips are a good product but as you mentioned they do have their down falls. They don’t stay attached to the teeth as good as the mouth guards do. But yeah, the price of the VS1 whitening kit is really good which i guess is the reason for it being so popular. I thank you for this VS1 Teeth Whitening review. I must agree with you having clean and white teeth and a product that can deliver results is what people want. 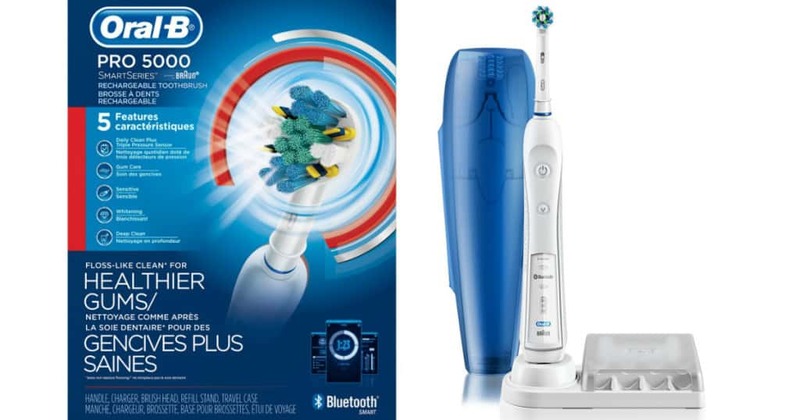 Using this product will help anyone who wants whiter teeth.This article is so informative and the product that you represent is one of the best out. I have already tried it and I’m still using it. How fast did you see results with the VS1 kit because you mentioned that you have been using it? How do you charge it ? With light on or off and for how long? You don’t need to charge it because the blue LED light has an Android connector, adaptors for iPhone and Type C, you plug it on your smartphone directly when you use it. No external battery power source required. It Doesn’t require charging.